WTF Are You Reading? 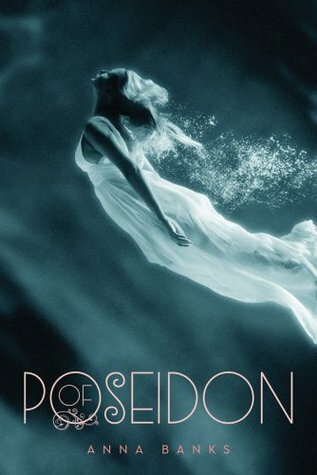 : Ride the Waves of Romance With "Of Poseidon"
Ride the Waves of Romance With "Of Poseidon"
This is one of the best mer-based books that I have ever read. Emma and her best friend Chloe are in for the summer of their lives, the world is their oyster abd the tide is high. This is the setting in which we meet the beautiful but awkward Emma, who then crashes into the outrageously hunky Galen. The chemistry between Galen and Emma is what first draws readers into this wonderful read. Emma is very unsure about pretty much everything in her life. Chloe is her anchor; when Chloe is then killed by a shark, the emotionally unmoored Emma needs her enchantingly mysterious suitor. It takes a moment to get used to Galen's persistence in the pursuit of his fishy lady, but when you come to learn the importance of Emma to the underwater world of the Syrena. Watching Emma as she comes to realize who she is, and the power that she has is wonderful. This book is very well paced and the story is full of surprises. As if that is not enough, this book is also choc full of characters interesting enough to warrant their own books. This is the best book ever and I love it! So far I've read a few mermaid stories, and this is definitely the best one. I love how easily the story takes place and the mystery surrounding Emma's secret heritage and Galen can be really funny. Not to mention that his fish out of water story is really good. There is always going to be, a great mystery surrounding mermaids and this books makes me hope that this wonderful world really exists. This is a story that cannot be missed! I know that everyone enjoys it as much as I have. Anxiously awaiting the next chapter. 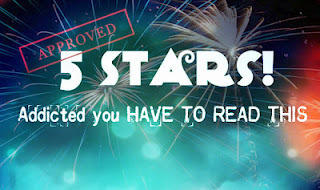 Reap the Rewards of "Repear's Novice"
Will You Be Enthralled By "Vampire Kisses"? Find Life's Truth in "Secret For A Song"